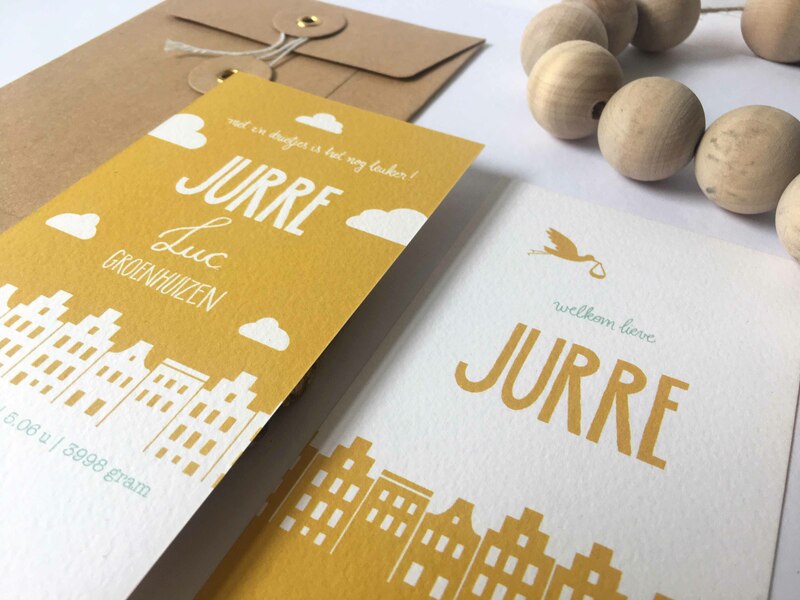 Amsterdam, Jurre's city of birth, takes the lead in his birth announcement. 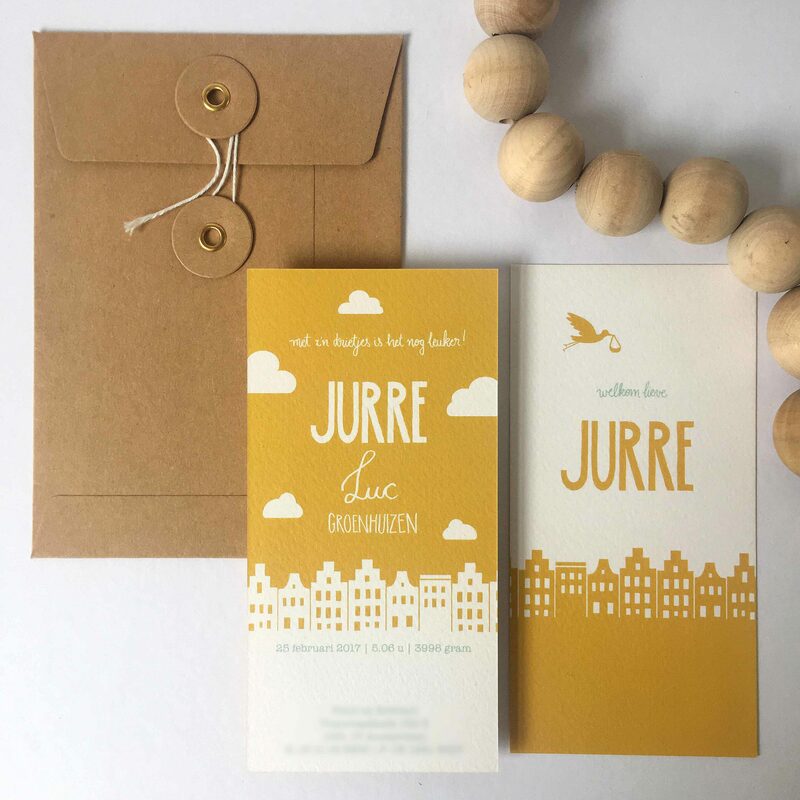 The design is all hand drawn and then digitalised. 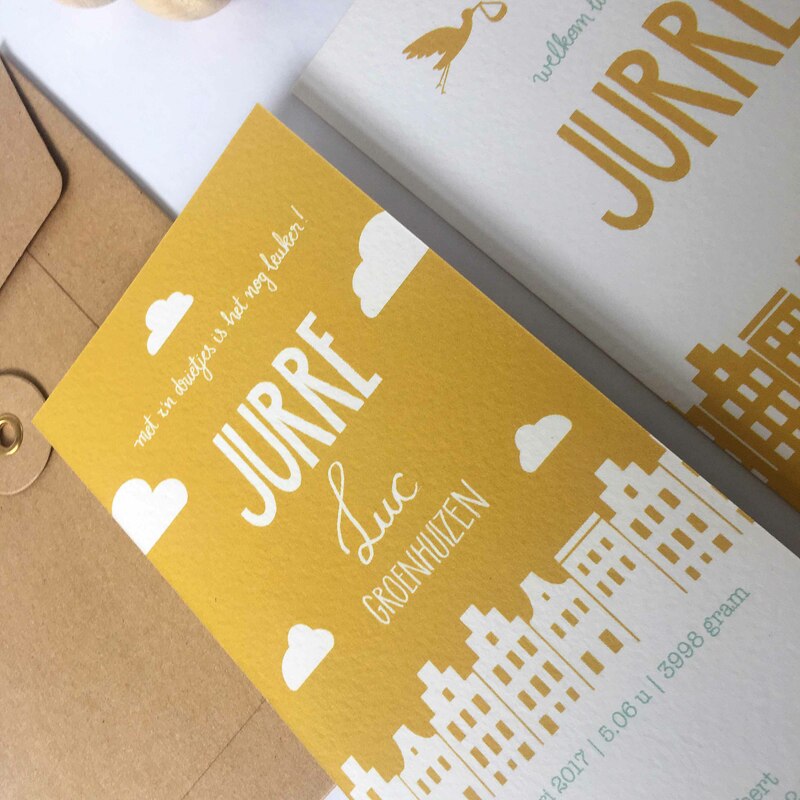 The structured paper combined with the mustard yellow and minty green colours make this a cute but bold birth announcement.